MADRID, May 20, 2010 (AFP) - The Spanish government Thursday approved a 15-billion-euro (18.8-billion-dollar) austerity plan aimed at reining in the huge public deficit, as thousands of workers protested against the measure. The plan was approved at a cabinet meeting as public sector workers took to the streets to vent their fury at the measures, which include a five percent pay cut for civil servants. Unions have also called a strike of civil servants for June 8. Deputy Prime Minister Maria Teresa Fernandez De la Vega acknowledged that approving the measures, which must still be passed by parliament, "has not been an easy decision to take" but the government "is also aware that it is not easy to accept." "We are confident of the understanding of all because these are necessary and essential measures which a responsible government had to face while thinking of the future of all," she told a news conference after the cabinet meeting. Socialist Prime Minister Jose Luis Rodriguez Zapatero, under pressure from both Spain's EU partners and the markets, announced the austerity measures last week in a bid to shore up Spain's public finances after fears it could follow Greece into a debt crisis. The cuts are on top of a 50-billion-euro austerity package announced in January designed to slash public deficit to the eurozone limit of three percent of gross domestic product by 2013 from 11.2 percent last year. The latest measures include an average five-percent pay cut for public sector workers from June, and a pay freeze from 2011. Pensions except for the poorest will also be frozen in 2011. The government also plans to scrap a 2,500-euro payout to parents for the birth of children, a key part of Zapatero's social platform to boost Spain's flagging birth rate. The salaries of Zapatero and government ministers will also be cut by 15 percent and those of secretaries of state by 10 percent. "It is a great effort thanks to which we will undoubtedly return to the path of growth," de la Vega said. Finance Minister Elena Salgado said the pay cuts would lead to savings of 2.3 billion euros in 2010 and 2.2 billion in 2011. 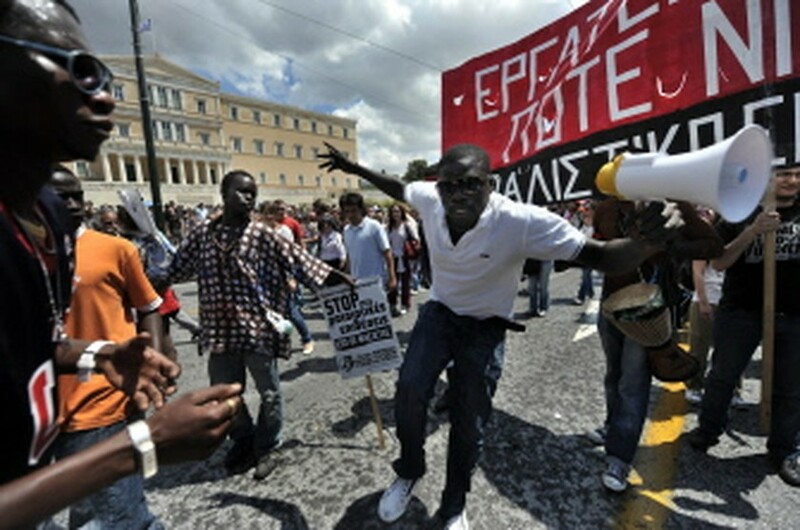 The pensions freeze will save some 1.5 billion euros in 2011 and the birth payment around 1.25 billion. She said the cuts also mean the government has lowered its 2011 growth forecast from 1.8 percent to 1.3 percent. Spain entered recession in the second quarter of 2008 as the global financial meltdown compounded a crisis in the property market, which had been a major driver for growth in the preceding years. Official data Wednesday showed the economy scraped out of recession in the first quarter, boosted by a rise in exports and household spending, but analysts have warned that any pick-up could be short lived. The recession has sent the unemployment rate soaring to more than 20 percent in the first quarter.